From a bird’s-eye-view, if one were to look at the vast settlements where people from Rakhine state of Myanmar are currently residing, they would see many pink dots purposefully moving about. 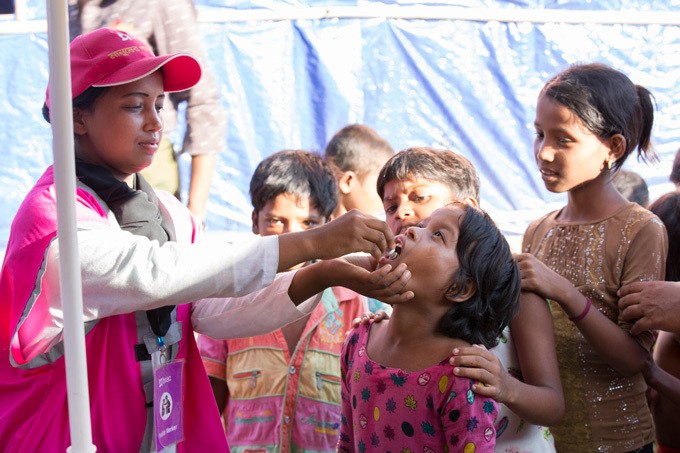 This rush of pink are BRAC’s women humanitarian workers delivering life-saving services, specifically to women and girls who make up more than half of the 589,000 people who have come to Bangladesh since 25 August. According to respondents, female-headed households with small children, pregnant women, elderly and women without men in the family are facing most difficulties accessing support. Often male humanitarian workers are unable to reach women and girls due to cultural and religious sensitivities. The women humanitarian workers, most of whom have joined BRAC’s crisis response efforts from the local areas, are bringing tremendous value to this crucial space. They are providing urgent support to the most vulnerable of the displaced population. To ensure these dedicated women humanitarian workers are receiving proper support, BRAC met with 130 of them through a forum last week. The goals were to understand the women aid workers’ needs and set in place mechanisms which will help them continue their acts of compassion. They are trudging through mud sometimes up to their knees, often under the scorching sun and almost every day in heavy rains, going from door-to-door to reach who are too weak or old to get to health clinics. They are searching for pregnant and breastfeeding women and making sure they get the personal attention that they need – and might not be getting from anyone else. They are running health clinics, delivering babies and making sure that the hundreds of people who line up every day are getting urgent medical attention. 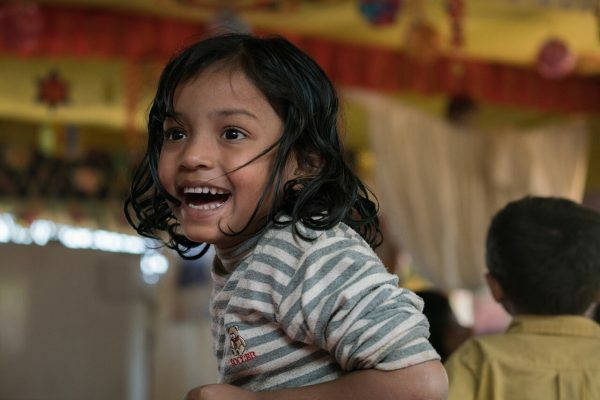 They are keeping thousands of children safe and helping them to heal in our 100 child-friendly spaces. The majority of our staff on the ground are women. Out of 760 staff, 420 are women – and the numbers are growing every day as we scale up our work. These women are working in extreme conditions, in an environment which can be unpredictable. The organisation needed the time to listen to their experiences and the challenges they are facing every day. The forum called Mon Khule Kotha Bola (MKKB) which means ‘Speaking from the heart’, gave the space that was urgently needed to listen to our staff on the frontline. The forum is close to the hearts of BRAC’s workforce, which is primarily comprised of women. It was born over a decade ago in our headquarters in Dhaka. It became a platform for our female staff to speak openly about the problems they face in the workplace. Male staff are also part of the platform as the goal of the MKKB forums are to bring gender equity, empower women, raise awareness regarding gender sensitivity and close possible gaps in various working contexts. At MKKB forums, vital concerns are raised and solutions are found, helping to foster a gender-sensitive work environment. This week, the forum was taken to the centre of the world’s fastest growing humanitarian crisis- our female frontline staff in Cox’s Bazar gathered to voice their experiences. “We are scaling our humanitarian efforts every day, but we also want to keep listening to our family on the ground. 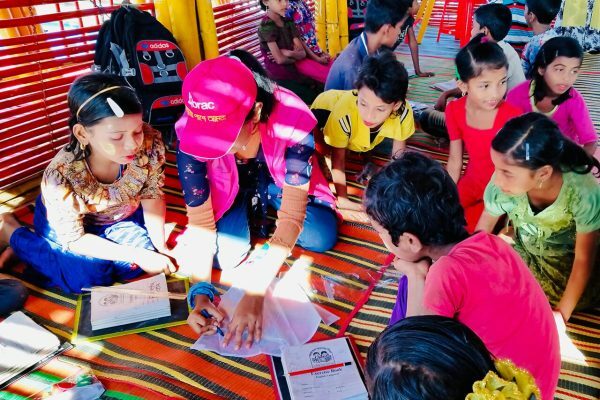 Ensuring their safety and wellbeing is our top priority,” says Sayeda Tahya Hossain, chief people officer of BRAC’s human resources division. In the past, the forum has been the vehicle behind some of the most important changes in BRAC, both for women and men. Mothers voiced their concerns about balancing work and making time for their children – so we opened a daycare centre and later introduced flexible working hours for all. Advanced salary during maternity leave as well as loans for women to avail bikes were also initiated through the forum. Strengthen security systems to ensure safe working environment. Ensure that our staff are taking allocated rest days as such measures are crucial while working in the context of hardship. Dedicate an on-the-ground women human resources staff to specially serve the women humanitarian workers’ concerns. The Mon Khule Kotha Bola forum is a core part of the culture and identity that is unique to BRAC, and how the organisation started. The idea was not to prove that we had all the answers, but to find out what worked and apply the lessons as we piloted, perfected and scaled. And that could only be done when we had our eyes on the ground, and our ears open to the voices of our frontline staff. 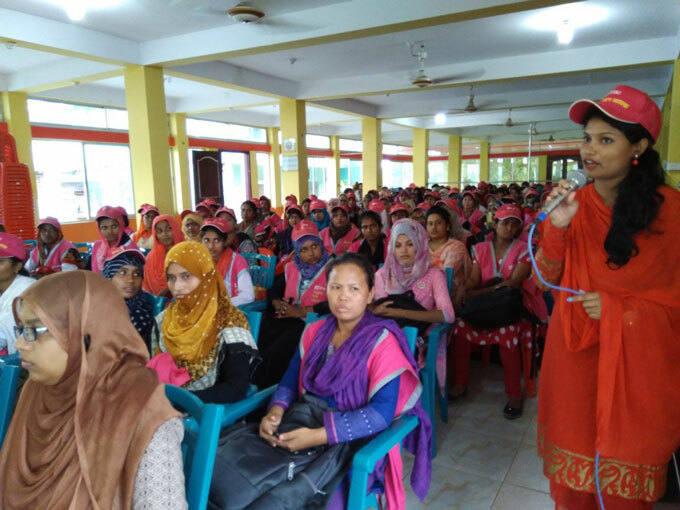 As the crisis in Cox’s Bazar grabs attention of the entire world, it is absolutely astounding to see the local community, especially these 400 women humanitarian workers stepping forward, taking an active role and dedicating themselves to helping the most vulnerable. 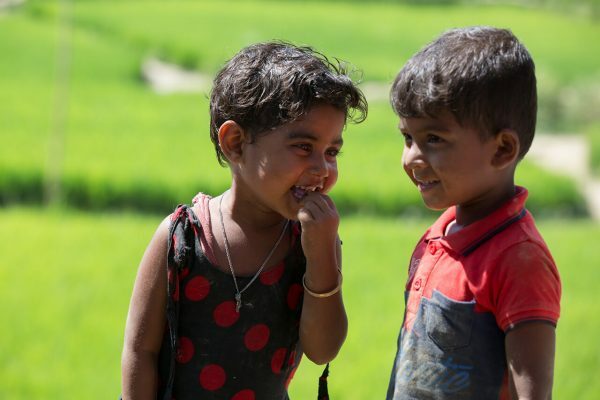 These unsung heroes are setting new examples and BRAC will remain dedicated to support them during this time of fragility- together with the hope of shaping a more compassionate world.